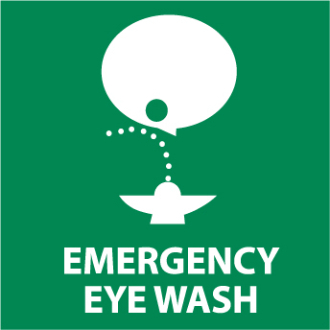 Green and white “Emergency Eye Wash” sign. Made from PS vinyl sticker. Size: 7.00x7.00in.